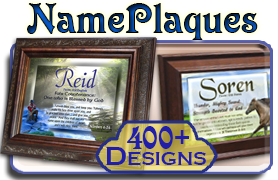 NamePlaques™ | Faith and Inspiration | Personalized Name Meaning Prints framed with meaningful pictures of faith. 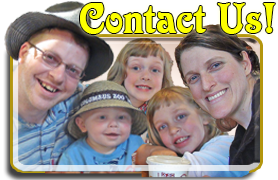 Welcome to our family of websites! Special Notice: Check out our quantity discounts & free gifts on the Order FAQ page! The ONE Name of GodHe knows your name. Discover His. ↑Browse products & designs here↑Read our Christmas Story here. 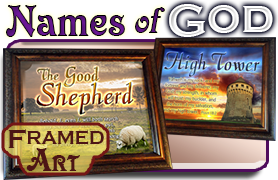 Framed art with elegant pictures of faith and inspiration. Choose the old wooden cross, the church in the snow, or the water candle shining light on the name meaning and Bible verse. 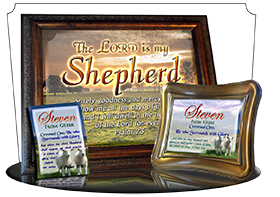 These framed name meaning prints are perfect for servants in the ministry, or just someone who needs some Bible-based encouragement through the meaning of their name and a symbol of faith. 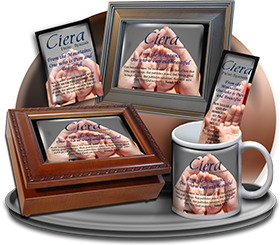 For more details about our photo-laser printing quality, exact frame sizes, name bookmarks or pocket cards, turnaround time and more, click here. A Celtic knotwork cross graces the corner of this Irish design. Celtic knotwork borders the name, meaning and verse. 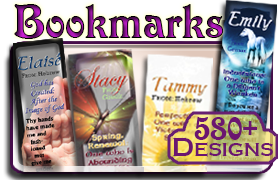 The matching bookmark includes the Bible reference, but not the verse text. See CE01 for another Cross design, with the verse included. This simple angel wing holds a sweet reminder of God's angels round about us. The name, origin, meaning and verse are printed in blues, and the soft angel wing nearly goes unnoticed at first. 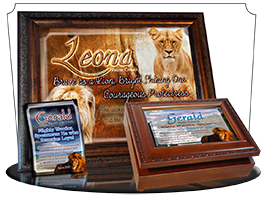 Looks great in our name meaning keepsake boxes! Silent, peaceful, snow-covered forest is home to the warmth of this church. A cross is lit atop the steeple, a light shines brightly at the door, and welcoming hymns invite us in from the cold. 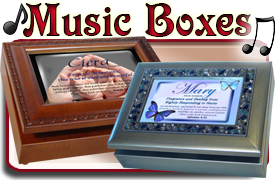 This is a great choice for our Music Boxes so you can hear the hymns yourself! This candle lights the room with a very unusual flame: water. 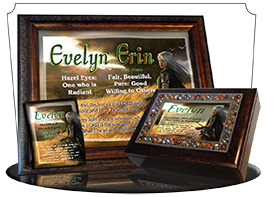 This is a cool name meaning gift for artists, or those in the ministry, since Jesus spoke of both light, and water. "You are the light of the world" and "If you knew the gift of God and who it is that asks you for a drink, you would have asked him and he would have given you living water." 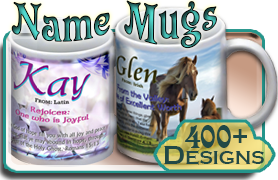 This candle design looks great on a name meaning plaque, personalized coffee mug or keepsake music box. It's March of 2015 and I've just completed the design for this What a huge tree can grow from such a tiny sprout. Encourage others with their name meaning in a picture of their potential in this descriptive design. Also perfect for the gardener and green-thumb in the family! A great symbolic picture to reflect God's work in our lives, and the plans He has for every seed He plants. 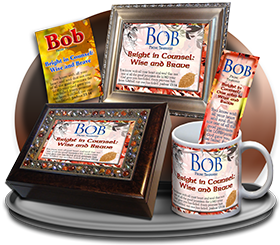 Consider a personalized inscription on the back of the plaque or mug, or inside the lid of our keepsake name meaning box, to make your message of encouragement clear. A young sparrow rests on a branch, not worried about food or shelter, confident in the Creator's provision. If God cares for the birds, He surely cares for you. 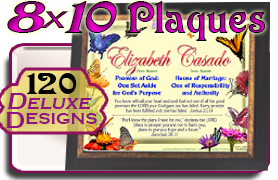 Show the simple beauty of natures in this personalized name meaning plaque. A deep red name against a bright sunset. A weathered anchor strong enough to hold any vessel. A name meaning, a Bible verse. All combined make a stunning symbol of endurance and faithfulness for this unique, framed name meaning print. This name meaning design features a background of maps, charts and a spyglass with a woman's hand holding a compass in the foreground. The burgundy and brown texts hold the name and its meaning, a great encouragement to someone looking for direction. This is also a great choice for graduation gifts! Be sure to check out SY40 for another compass design, fit for any daring adventurer! Head off on an adventure and find direction in this name meaning design with a compass, maps and spyglass in the background. In the foreground, a man's hand checks his compass. He could even be a sailor, explorer or adventurer! This makes a great name meaing plaque for graduates, students or ADVENTURERS! Digi-camo sets the stage for this patriotic name meaning print, with a stylized flag in the corner, and bright blue lettering for the hero of the day! 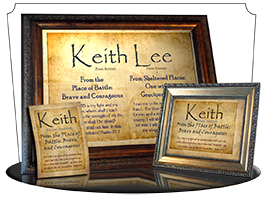 Show your appreciation and admiration for the soldier in your life by encouraging him with this unique name meaning framed print. This simple pile of stones is a cool and clear name meaning design, all very readable, and unique. You also might like SY15, "Stone Stacks". These black stones are stacked neatly in the foreground with the colored stones from SY14 stacked in the background. The name and meaning is bold and clear with unique chiseled fonts on this handsome personalized gift! Let us know what you think! This wooden pathway leads towards the horizon and invites upon a peaceful journey to discover the value in a name meaning. The name is in a gradient blue like a summer sky, with the meaning, origin and matching Bible verse also in blue. Behind the name, a heart of clouds frames the golden-blue name on this sweetheart's nameplaque or coffee mug. Tell someone that they're loved with this sweet name meaning design on a coffee mug, or in our personalized keepsake, musical NameBoxes! What appears to be stained glass butterfly wings is actually a chemical reaction in a laboratory to make colored crystals. Magnified, they appear to be beautiful butterfly wings! Subdued inks written on this clear parchment make a great name meaning design for an author, historian, or anyone with a bent for the written word. This is one of our most popular prints, because it's simplicity and age bring the focus on the name, origin, meaning and verse, while adding a sense of heritage and authenticity to its name meaning. This fanciful design feels like it's right out of a fairytale. Light yellows and greens accent butterfly wings and forest greens, with the warm glow of a lamplight to the right of the name and name meaning. 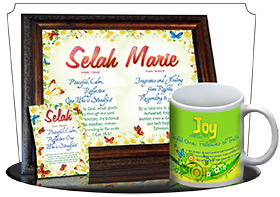 Personalize this framed name meaning print with any name, which comes complete with origin, meaning, life meaning and matching Bible verse. A light sheet of pastel grace this spectrum of colors. This is a great baby name meaning gift as a plaque or colorful music box! Just what the new mommy needs. Storage! Will you assend it's lofty lights? Will you challenge the mountain's greatness with your own? It's snow-dusted presence lumes intimidatingly over the reaching treetops. Almost looking as though it is in compitition with the very sky itself. This everest stands tall above the treeline, and name meaning pointing the name upwards into the sky towards its Mighty Maker. 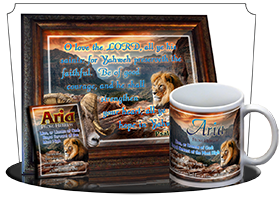 This personalized name meaning print stands resolute as a reminder of God's unwavering love, just like it says in Isaiah 54:10: Though the mountains be shaken and the hills be removed, yet my unfailing love for you will not be shaken nor my covenant of peace be removed," says the LORD, who has compassion on you. This jQuery slider was created with the free EasyRotator software from DWUser.com. Use WordPress? The free EasyRotator for WordPress plugin lets you create beautiful WordPress sliders in seconds. 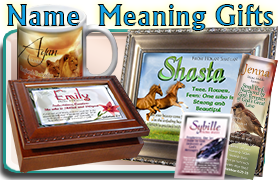 name meaning music boxes with lion pictures. 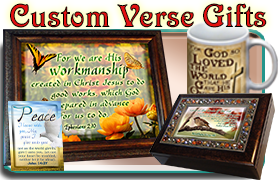 Personalized Bible verse artwork, custom scripture gifts. 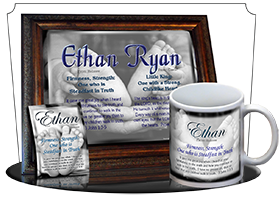 baby feet, personalized framed name meaning print.